Virtualization creates an abstraction layer between hardware and the operating system and applications, providing great flexibility and ease when it comes to recovering systems after a disaster. And many virtualization platforms offer the ability to automatically migrate and restart virtual machines on alternate hardware in case of a failure. 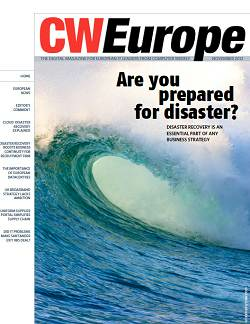 But that only solves part of the disaster recovery and business continuity problem. 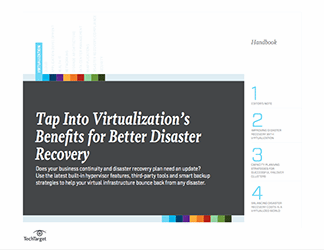 In addition, virtualization architects must establish their recovery time and point objectives, keep an eye on costs, and select the appropriate backup, replication, clustering and automation solutions to help them achieve those goals. 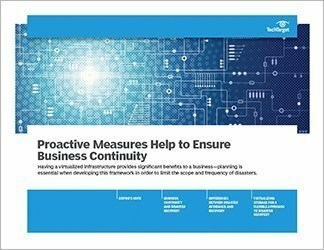 This handbook provides a discussion of the various disaster recovery and business continuity capabilities of the major virtualization platforms, plus products and services that can be used alongside them.